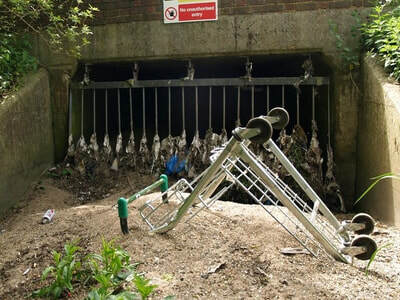 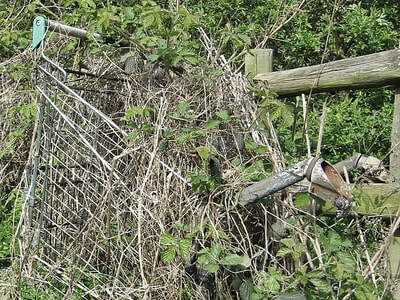 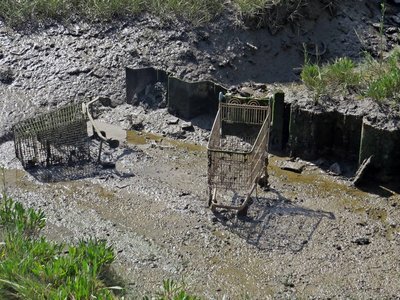 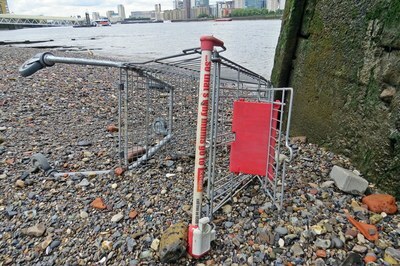 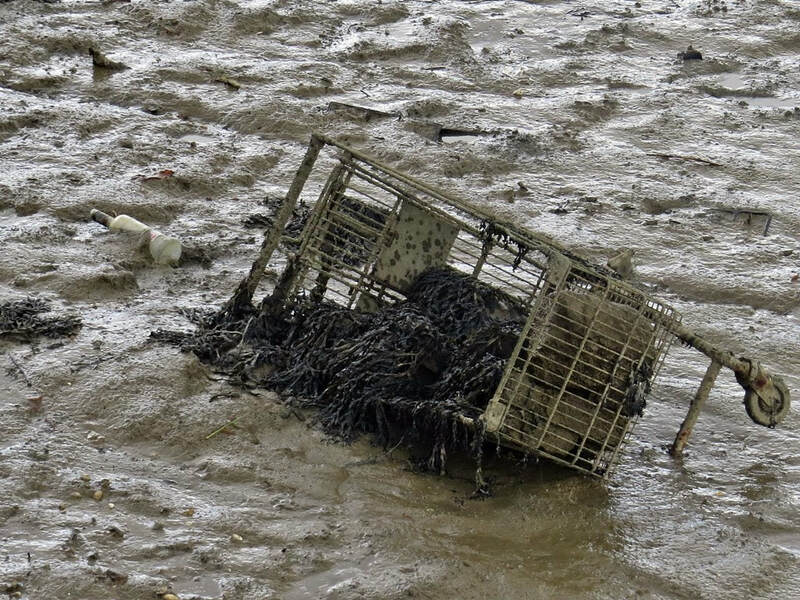 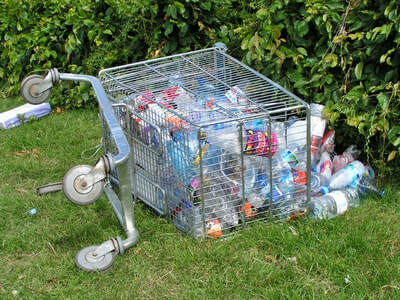 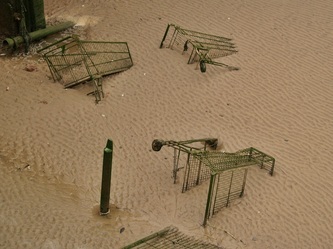 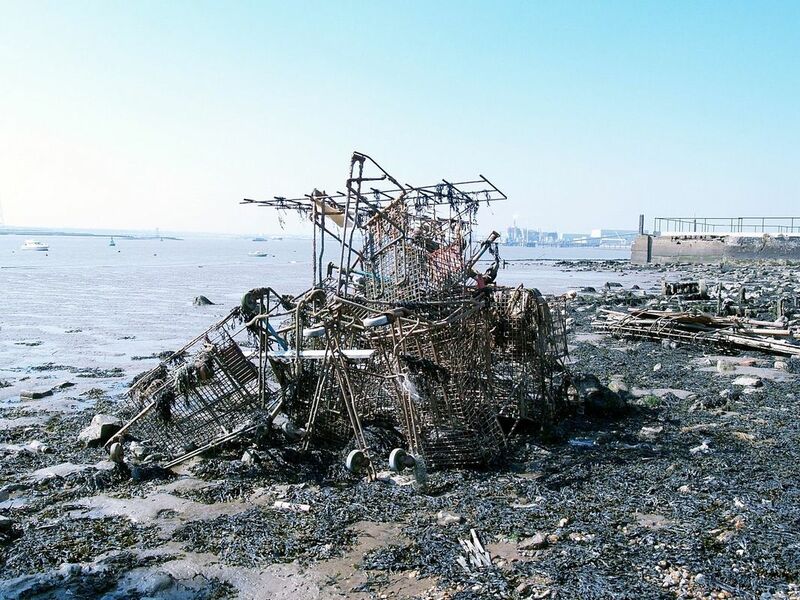 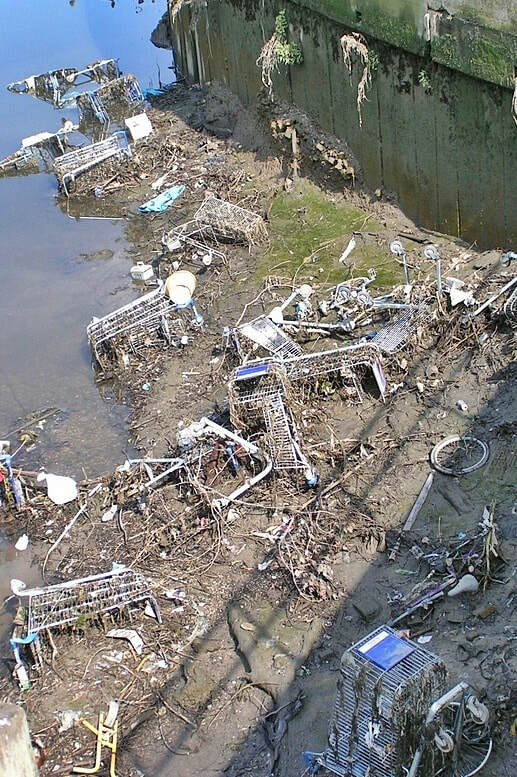 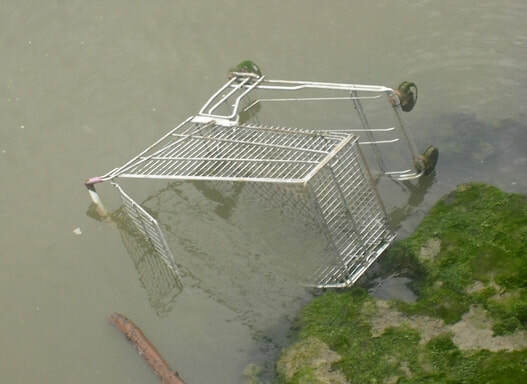 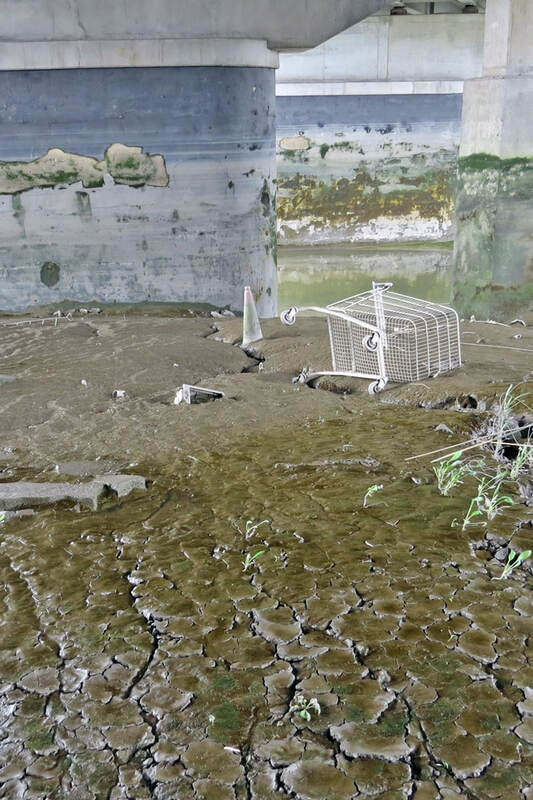 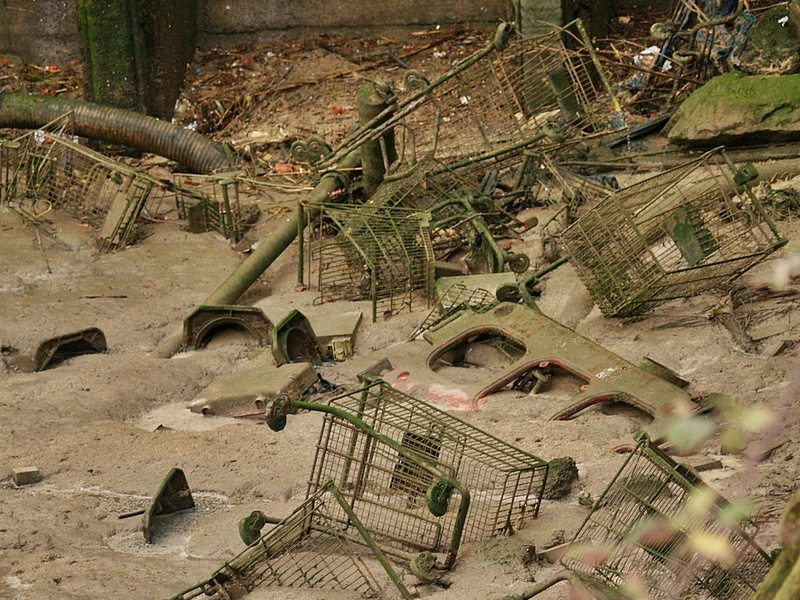 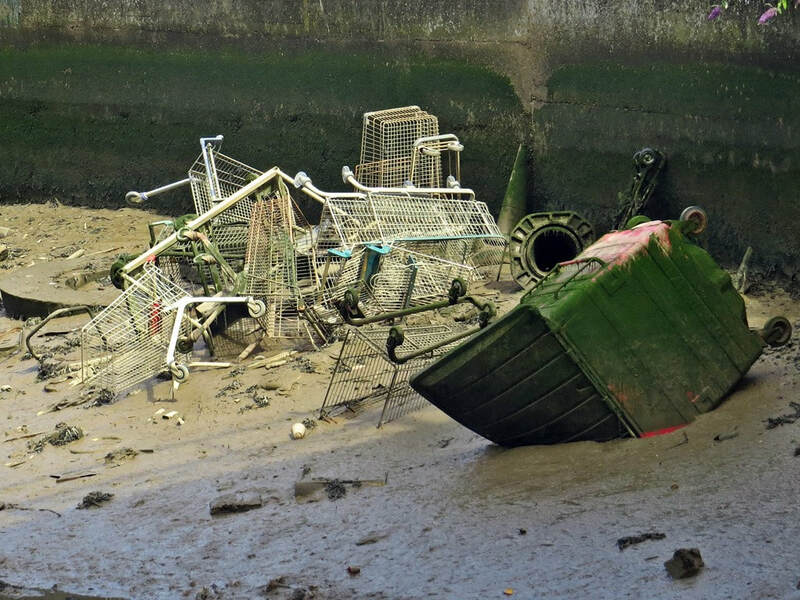 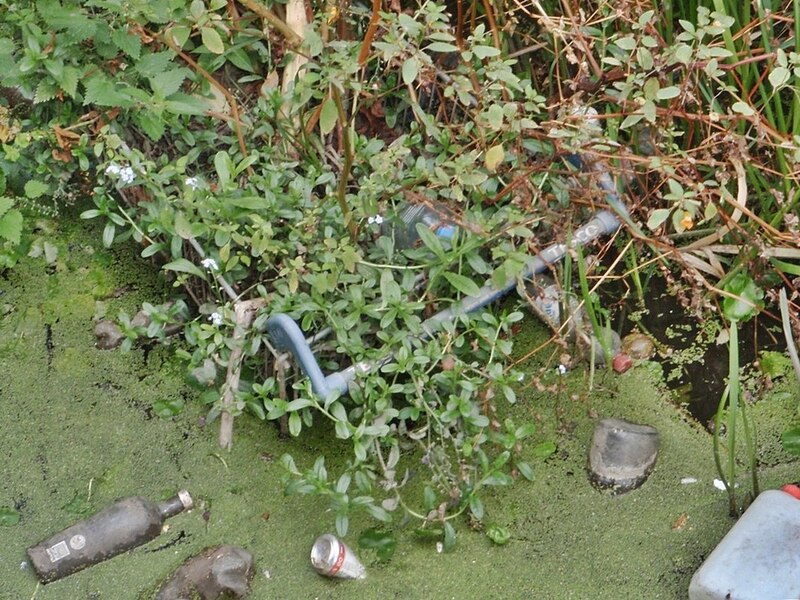 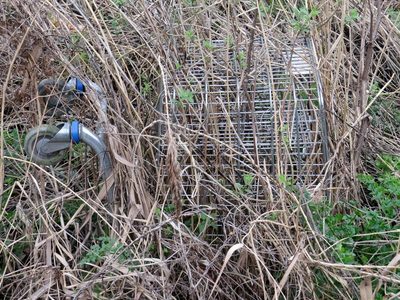 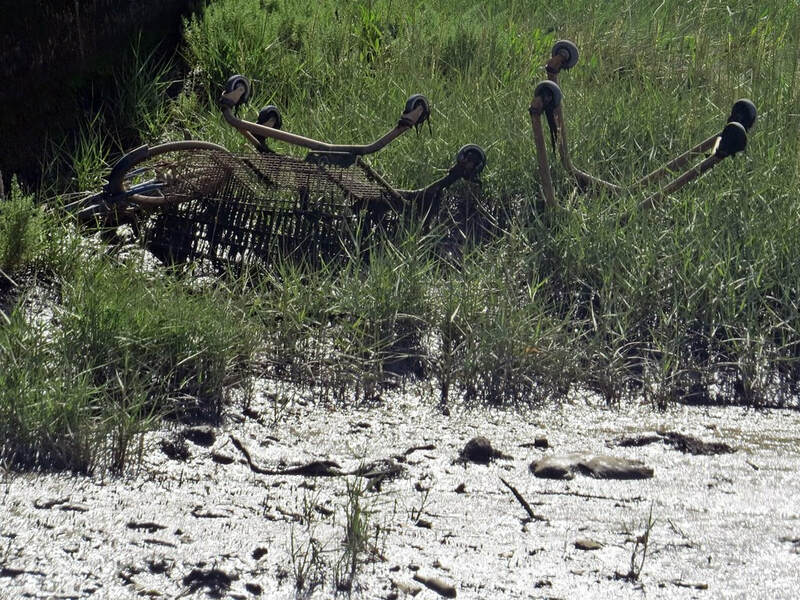 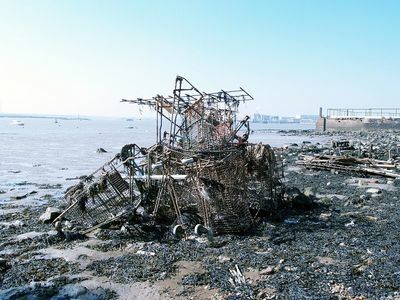 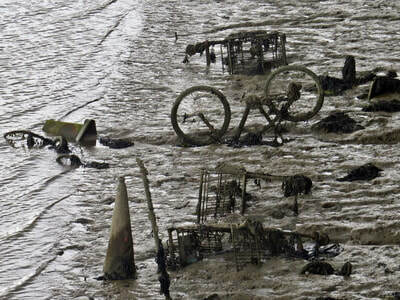 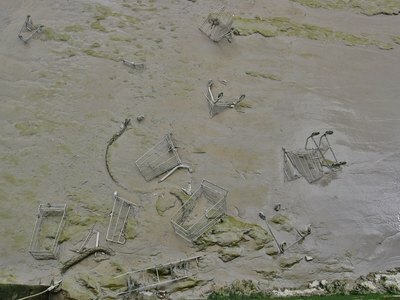 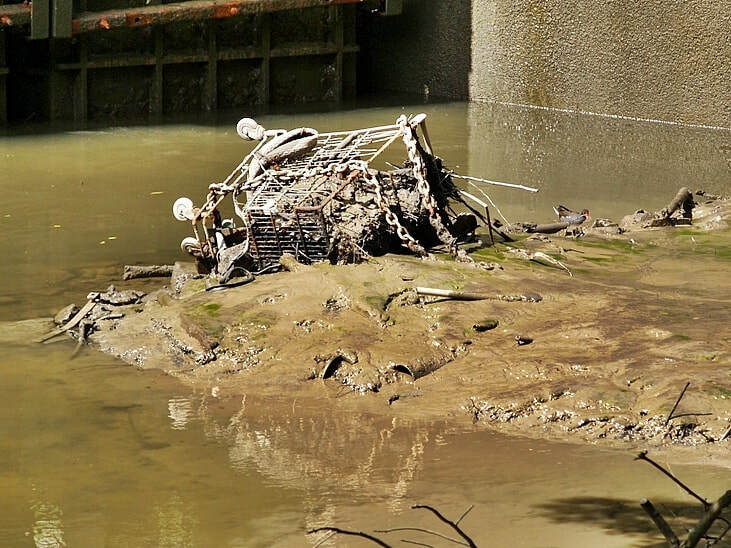 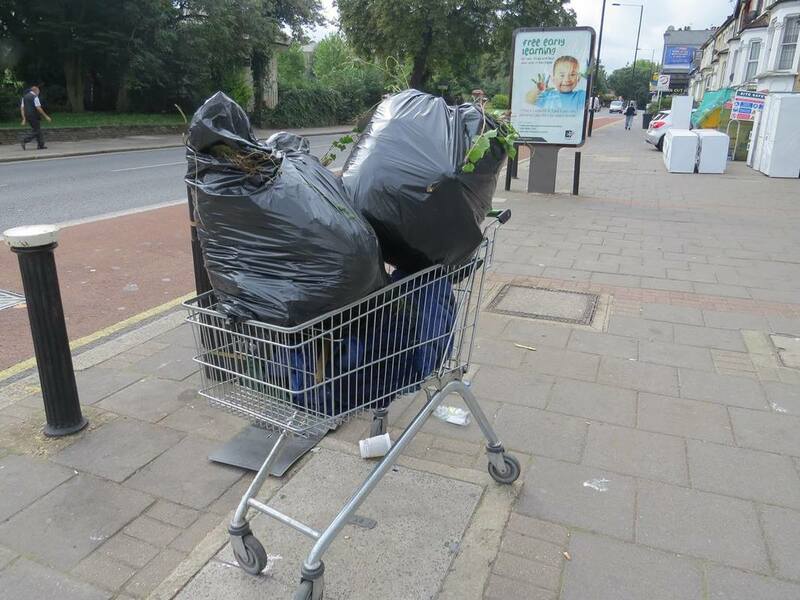 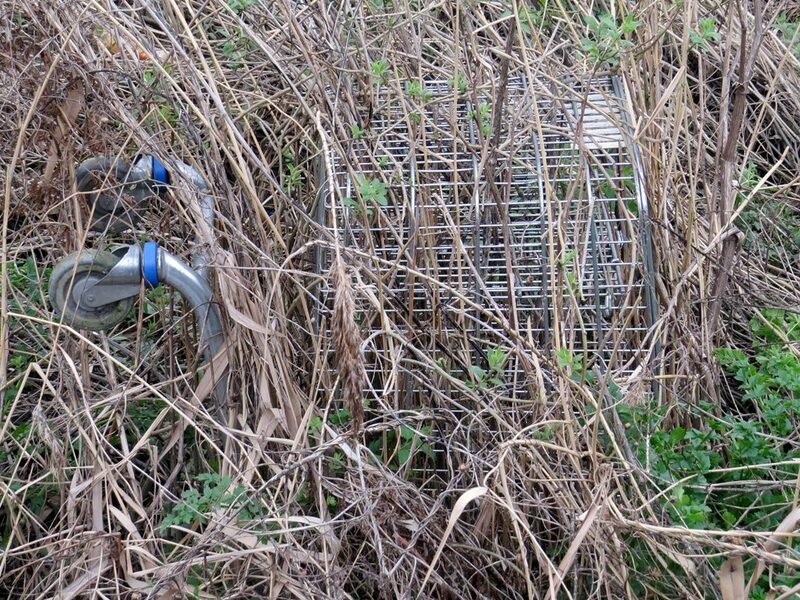 ​As well as being eyesores, abandoned trolleys can cause environmental damage. Local authorities are currently responsible for recovering trolleys and returning them to supermarkets. This can costs both councils and retailers money and these costs are then passed onto consumers through council tax and food price rises. 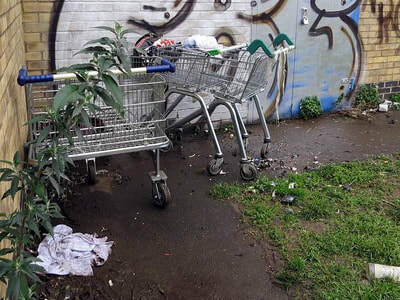 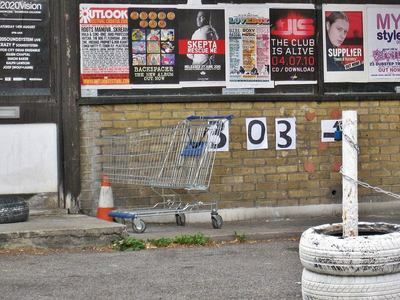 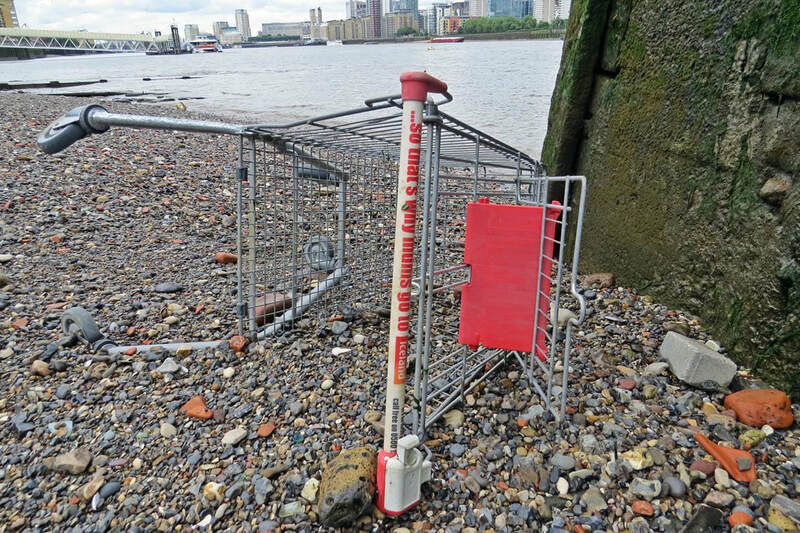 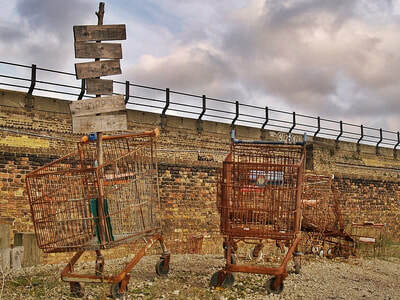 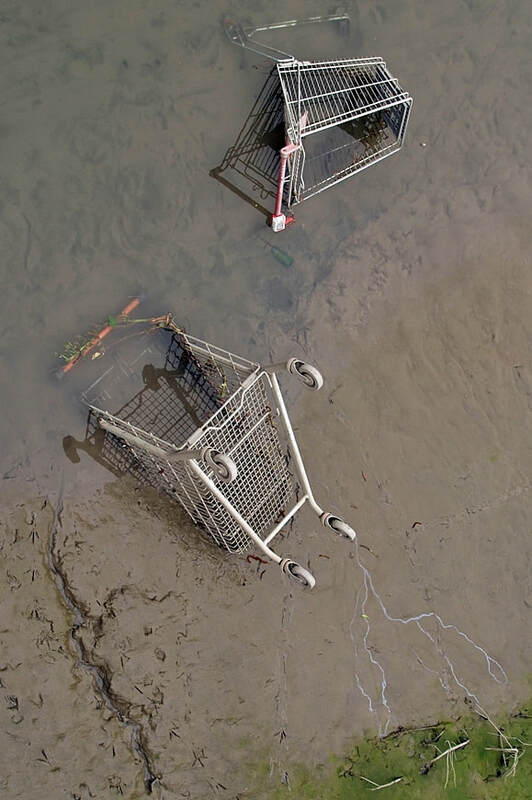 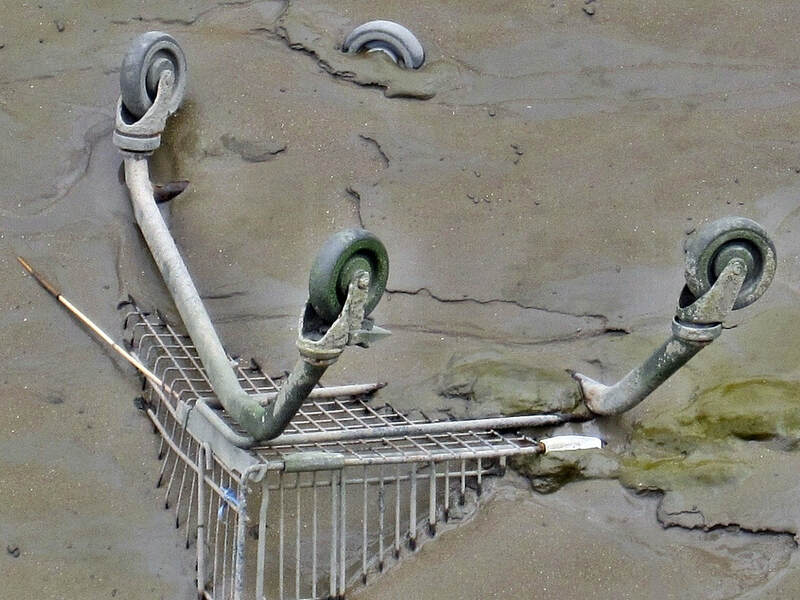 According to Trolleywise (who have designed a smartphone app to report dumped trolleys) more than half of all shopping trolleys in service in the UK - around one million go missing from supermarket car parks each year. 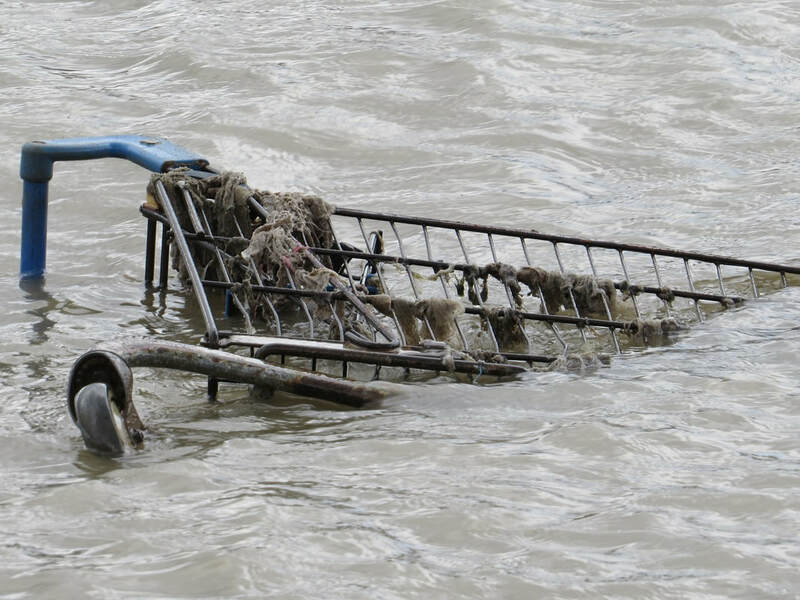 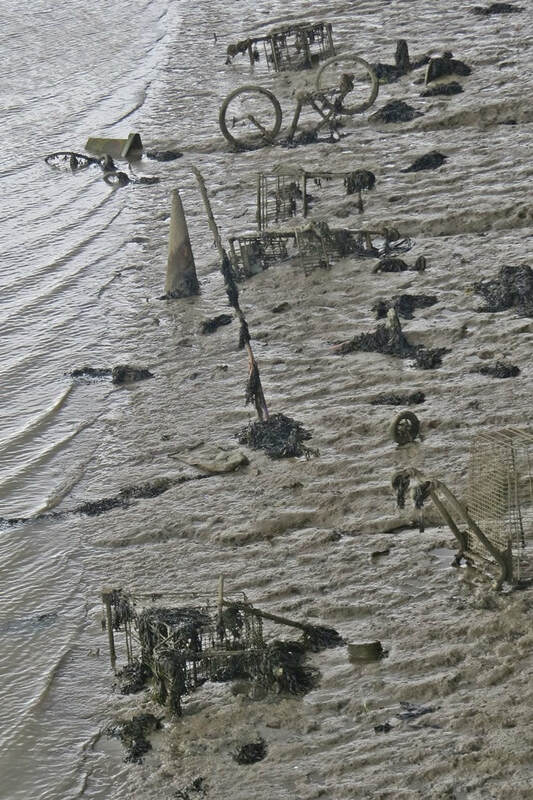 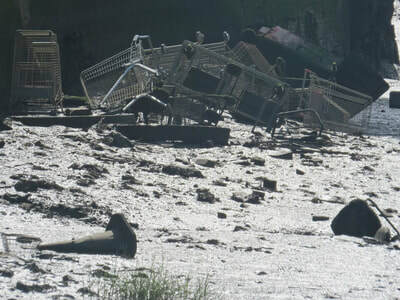 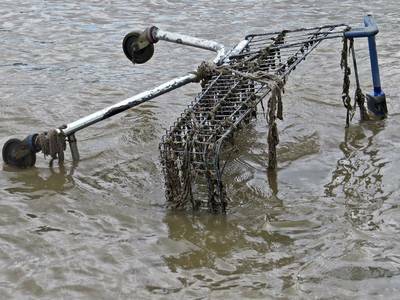 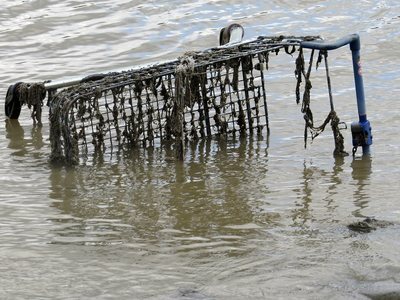 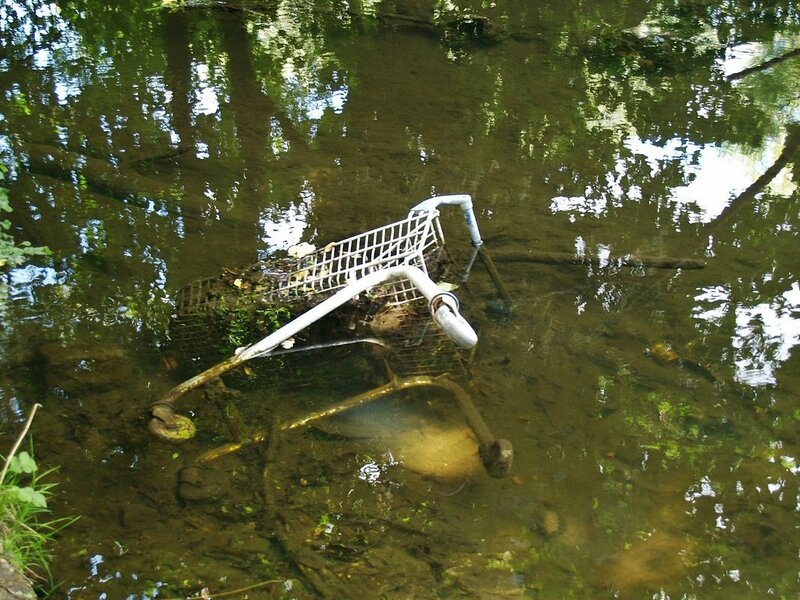 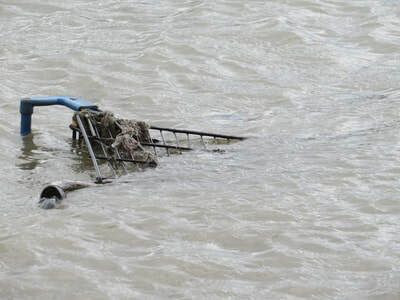 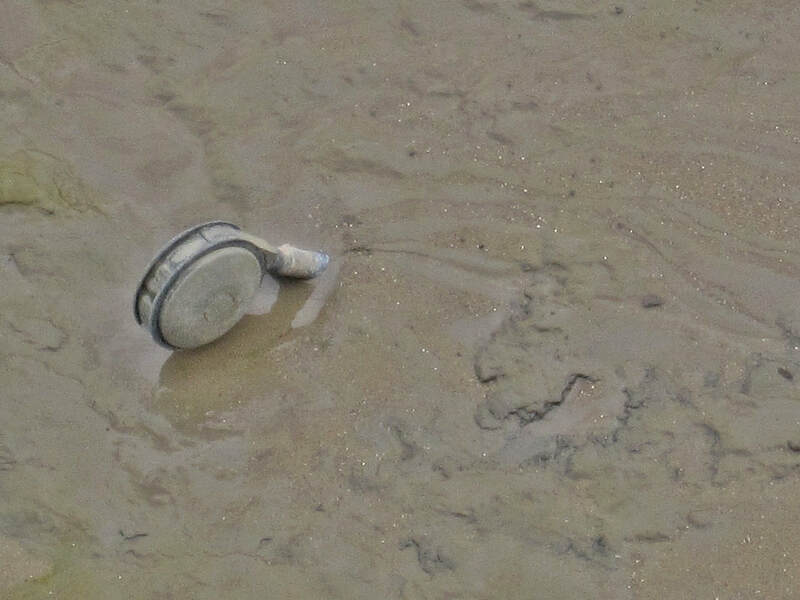 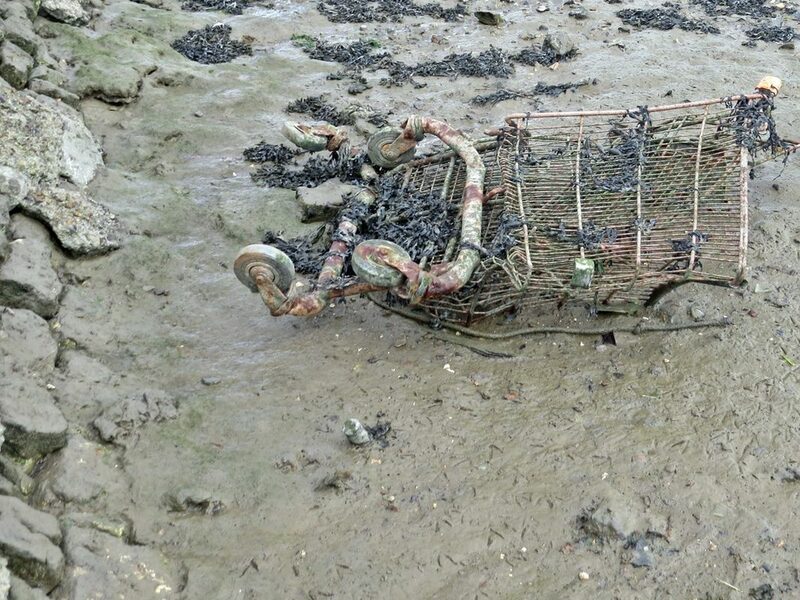 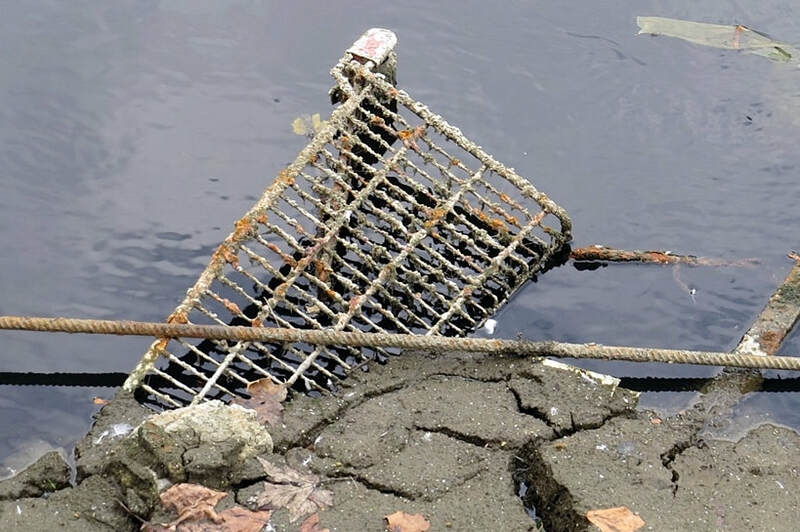 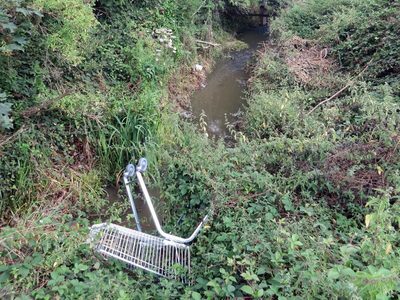 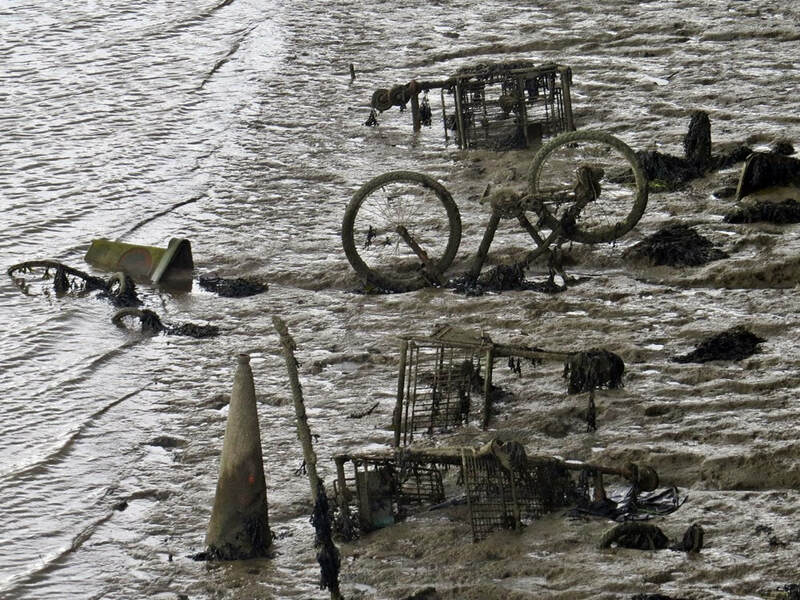 ​The Department for Environment, Food & Rural Affairs advises councils to use specialist contractors and liaise with the Environment Agency to remove trolleys from rivers and waterways to contact the Canals and Rivers Trust about trolleys found in their inland waterways. 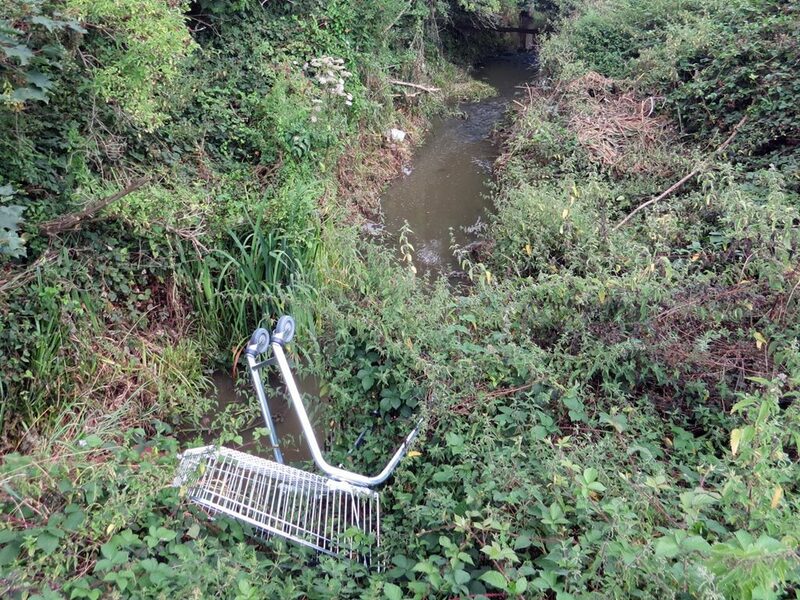 If you can identify trolley owners, you must give them notice to claim any trolleys you’ve removed. 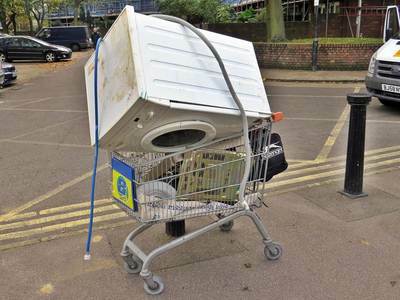 You must deliver the trolley to its owner if they claim it and they pay all costs within 6 weeks. 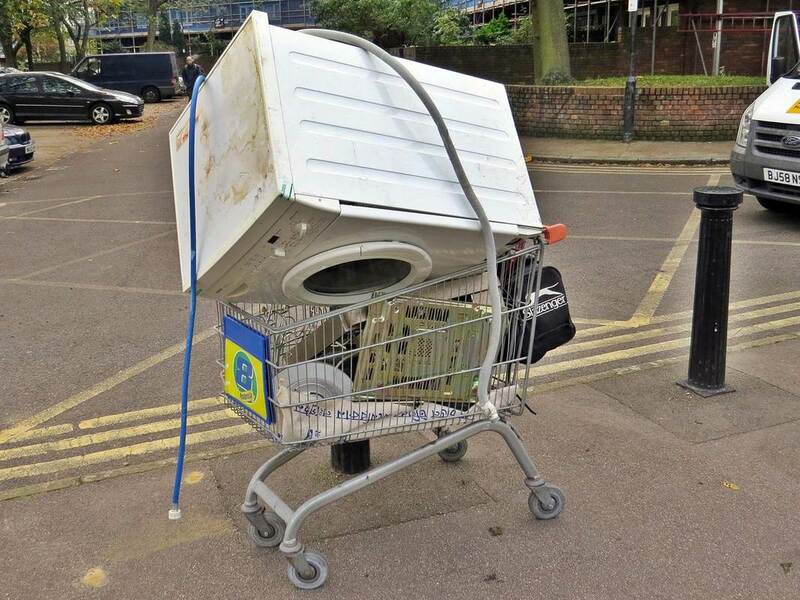 If the owner doesn’t pay, you don’t have to return the trolley. 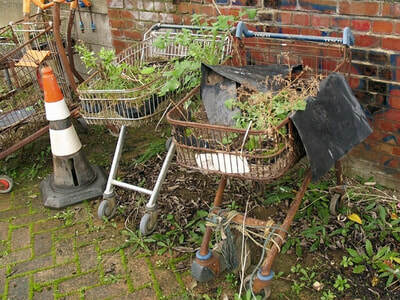 You must keep trolleys for 6 weeks after removing them. 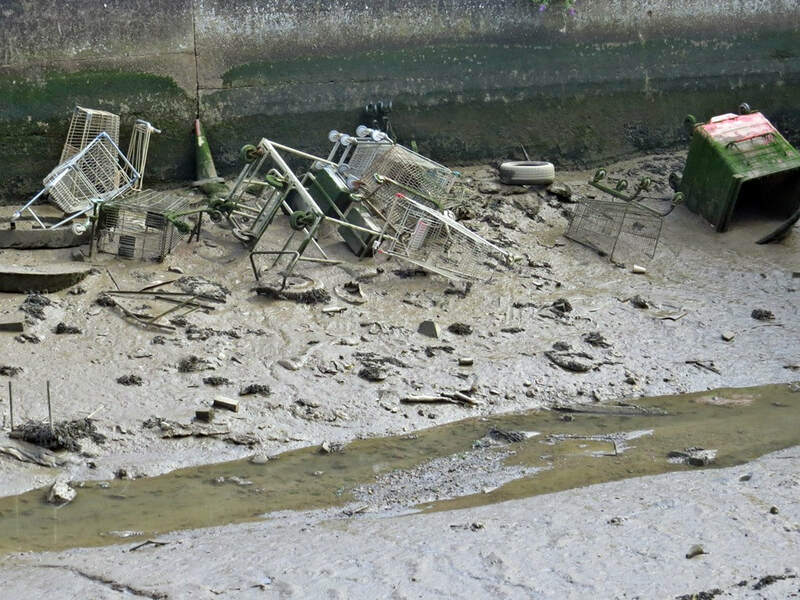 If you’ve tried to find the owner and they’ve not claimed the trolleys in this time, you can sell or dispose of them. 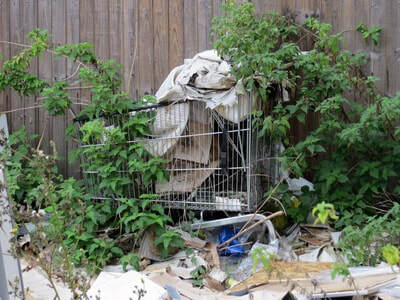 You can claim the costs of removal, storage and disposal from trolley owners. 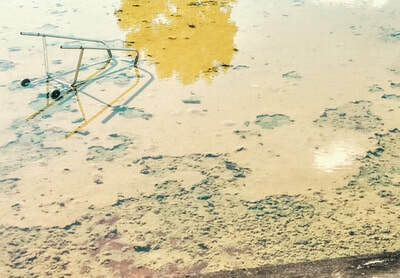 You must review your charges each year to make sure they cover these costs. 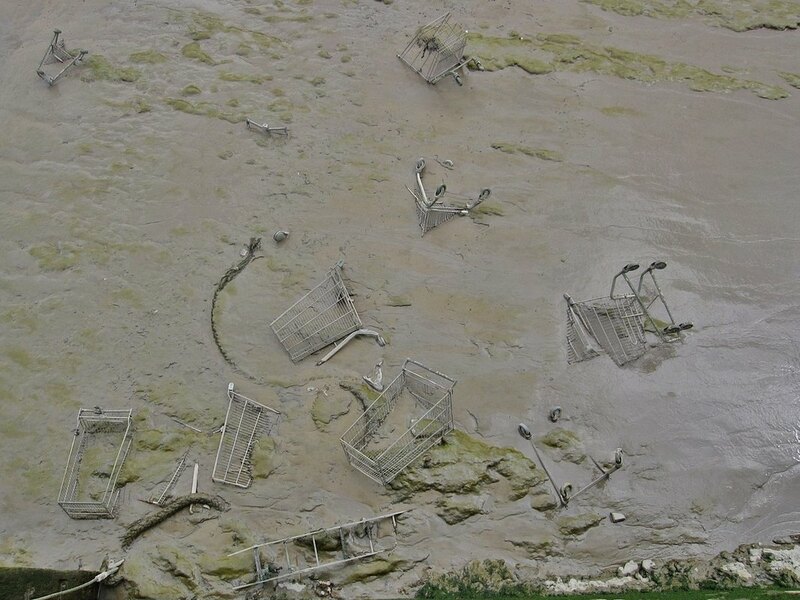 The main picture here taken beside Bow Creek is a giant DNA double-helix structure made out of shopping trolleys. 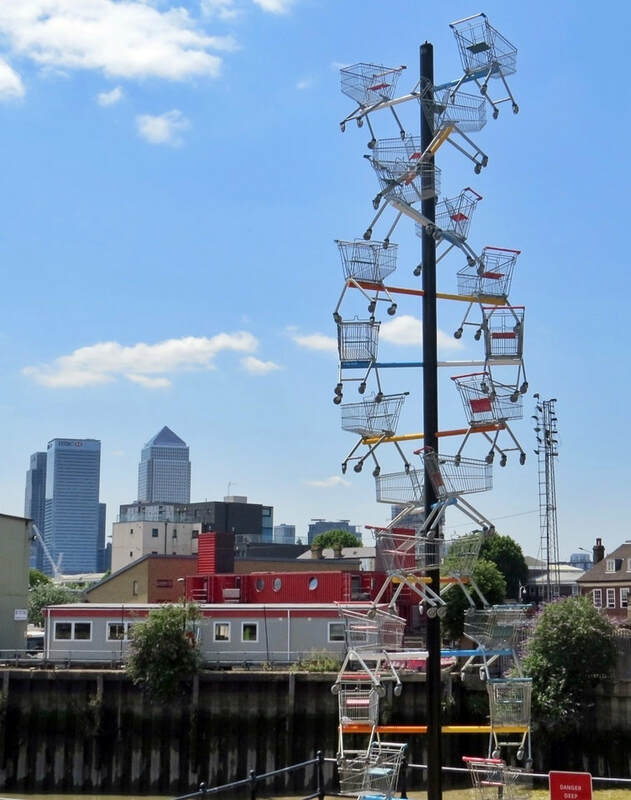 The structure was created by artist Abigail Fallis in response to the issues of genetics and consumerism. 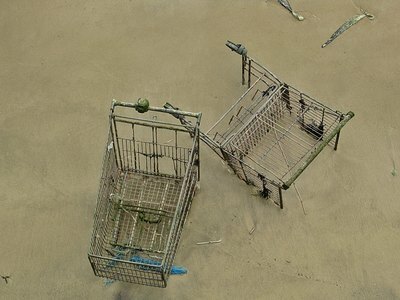 It alludes to scientific investigations into the designer baby and the lengths to which society is prepared to go in order to create a perfect specimen. 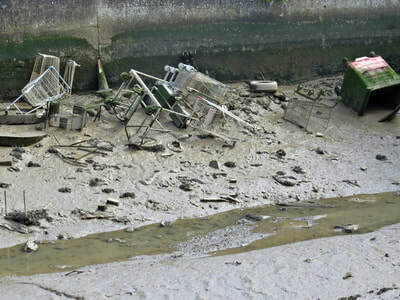 You must then consult the people affected from time to time about how you’re using the powers. You can end your powers to remove abandoned trolleys at any time. 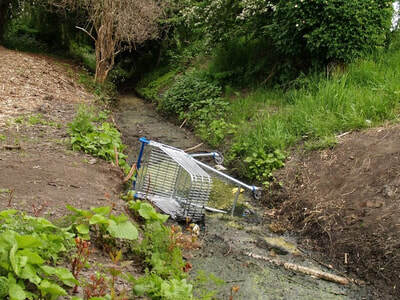 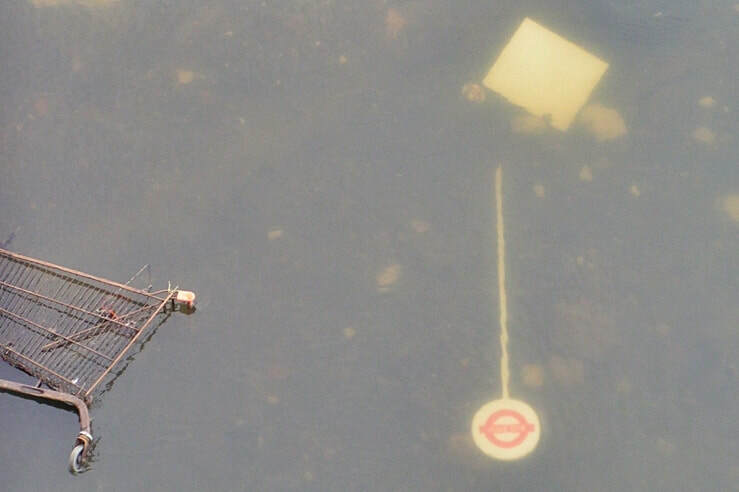 In 2009, British Waterways launched a hotline for people to report any wayward trolleys spotted in canals or rivers. 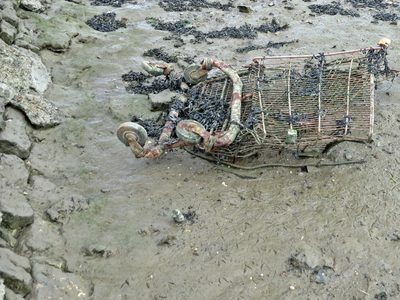 Figures the organisation quoted at the time gave an estimate of about 3,000 being dumped annually, and it said fishing them out of its network cost £150,000 each year. But after a weak response the hotline was eventually wound up. 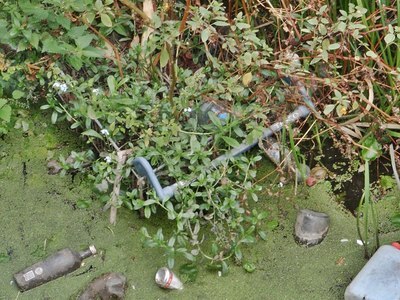 The Canal and River Trust, which took over responsibility for canals from British Waterways in 2012, told BBC News while it was an "emotive subject" it was not necessarily a huge problem. ​Some trolleys retrieved by councils get recycled by Symonds Hydroclean - a Welsh firm that specialises in recycling abandoned shopping trolleys.